With the growth of electronic products user increasing . More and more people ‘s eyesight is becoming weak. So many people choose to wear a optical glass to support. In fact , Optical store and shop are open far more earlier than this . Just becoming a boom increasing in recent years. So open a optical store and start eye wear retail business is a good choice. 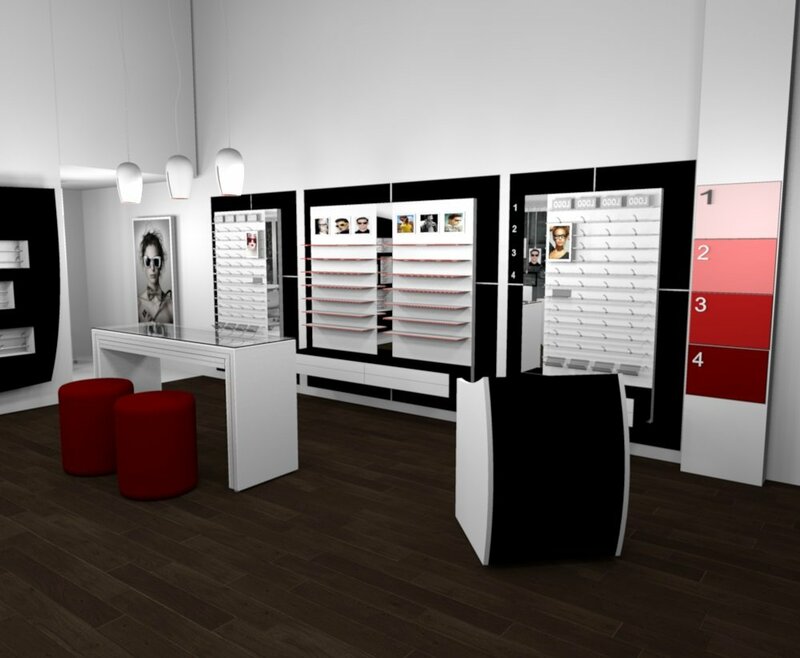 Optical displays fixtures and store furniture are shopfitting used in those places. Commercial furniture used in Optical store is quite different from a retail shop. Because eyeglass needs clear and high elegant display fixtures to show. What’s is Optical shop furniture? 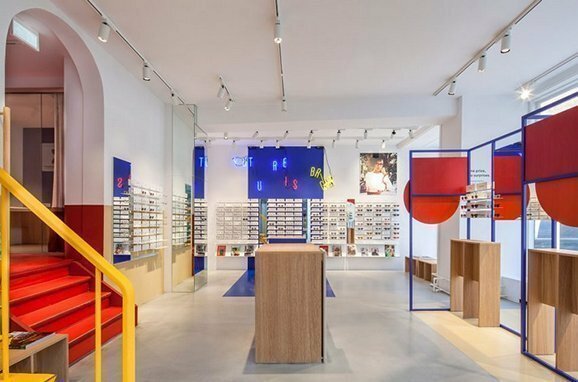 For most optical store design. Shop furniture can be divided as a back high cabinet, short standard counter, optometry desk, and experience area. 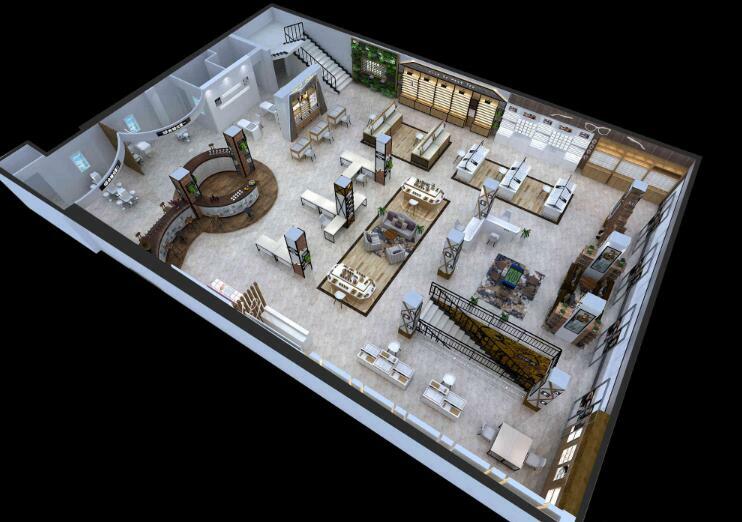 A large scale people will choose to open a store while some people will run a showroom. No matter what type of the business, Nice and functional optical are necessary. Back high display cabinets are displayed cabinet against a wall. Which also known as frame display fixtures. You can use this cabinet display as much sunglasses or eyeglasses as possible. Normally on the bottom of those cabinets will have a lot of smaller drawers with dispensary trays. These optical dispensary furniture are the makeup of the wall display decorations. Optical shop counter are free standing display cabinet will a glass showcase on top . Where LED light will be installed and concealed . optical display table are Similar with jewelry display counter . Just the storage part is different . In optical retail store . All the eyeglass must be display with a acrylic trays and in smaller section drawers for easy distinguish. Optical display counter are usually build in a standard size of 1.2 meter long with 0.6 meter width. If you need a customized size Just inform manufacturer before. 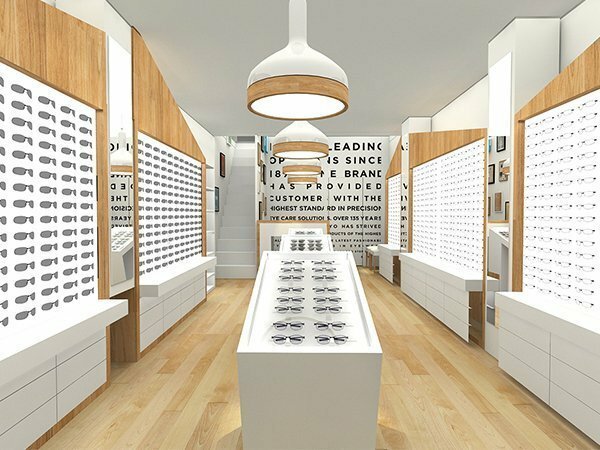 Optical Store interior design include display racks and display cabinets in it. So to furnish a nice optical shop, You need to find a professional display furniture manufacturer to do it. How to get your optical design and build? 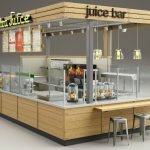 Unique Kiosk is a leading commercial display fixtures manufacturer in China. 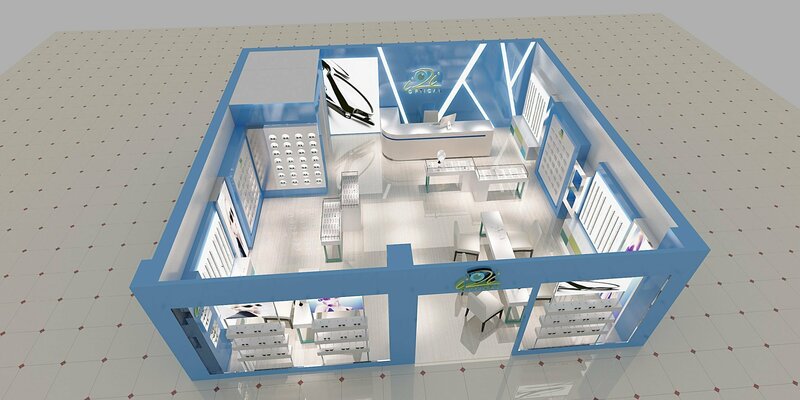 We design and customize store used optical display cabinet, display table, counter display and glass showcase for sunglasses shop. 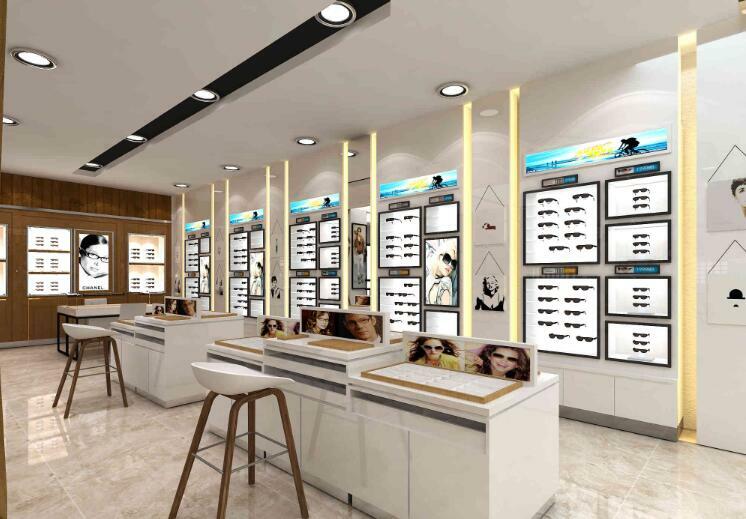 Our high-resolution design and high-level shop display will make your optical in a high level of customer experience. We specialize in the store used optical stands, displays, and furniture, as well as custom optical rod displays. Many of our wall mount optical frame displays, eyewear optical stands, and display rods. 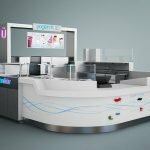 Specialist optical displays are available from Unique Kiosk in response to the needs of these dynamic industries. 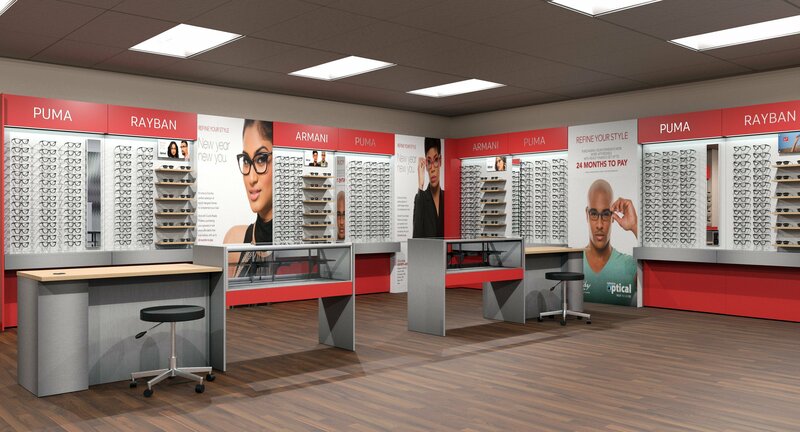 Our eyewear displays cabinets and optical frame displays are designed to be practical and engaging, incorporating quality details such as built-in illumination and sleek modern styling Our display racks are build under ergonomic and aesthetic considerations for maximum presentation value and effective retail displays. Are you ready to get a high-quality optical store furniture? Check our design blow or contact us for now.